Fence Workshop is a fence design and materials company committed to providing quality, beautiful and valuable fence solutions for any size project. 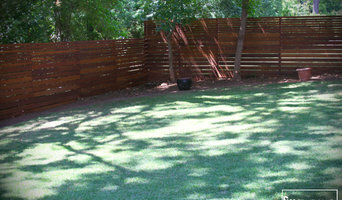 We develop site specific, creative and unique fences embracing both the natural surroundings and project needs. 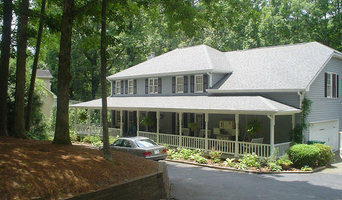 Pro Roofing and Siding is a family owned and operated business based in the Atlanta area. Our experienced technicians provide exceptional work, backed with the respect and integrity we believe our customers deserve. We stand behind our workmanship and for this reason are renowned as one of the top contractors in the area. 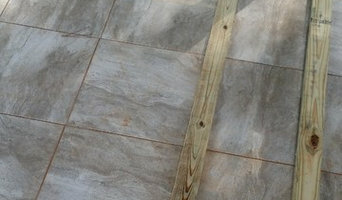 Our Atlanta roofing, painting and exterior solutions are affordable and of the highest quality available in our area. We are licensed, insured, and proud of our many references. With over 5 years of experience serving the Atlanta Metro area, Spotless Cleaning is your solution for all your residential maid service and commercial janitorial cleaning needs. We take great pride in our extreme professionalism, timeliness and superior customer service on every job. We make sure to develop a lasting relationship so that the next time service is needed there will be no question on who to call. Satisfaction guaranteed! Image Design Stairs designs, manufactures, and installs custom stairs and stair parts. We ship stairs throughout the United States. Send us your plans for design ideas and job estimates. Comprehensive Services. Customized Design. Here at CBD, we give you a suite of exceptional services that fill your specific project needs. From concrete polishing that breathes new life into your existing spaces, to concrete grinding that perfectly cleans your surfaces; customized garage flooring, to luxurious concrete and wood floors for your home or business space; CBD brings you industry-leading work that makes your project shine. Finally, your worries are over; you have a selection of high level services to choose from, and a team of CBD’s industry-leading experts are at your side, giving you truly outstanding guidance, expertise, and most importantly – amazing results that last you for years to come. Your success is just ahead. Whether you’re looking for a welcoming entryway for your workplace, or a textured patio in your home; we give you both interior and exterior cement design and installation that helps you realize your specific vision. Browse our stellar services below, and from concrete polishing and grinding, to high end concrete wood floors - find the right fit for your project needs. Wondering what service is right for you? Give us a call! Our friendly team can’t wait to hear from you, and make sure your needs are met. Hi, I'm Travis, the Owner of All Glass Peachtree City. All Glass is your one stop shop for all things glass. We are a local Peachtree City Ga glass company that specializes in frameless showers, all kinds of mirrors, residential windows, and automotive glass. If you need any type of glass repair or glass installation in Peachtree City, give us a call! 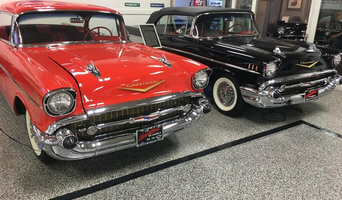 Over 35 years of experience in the floor coatings industry has made Premier Garage Floors a leader in the surface preparation, repair and coating installation field. However, more than experience has led to our success. It is our dedication to customer satisfaction and attention to detail that sets us apart. Advanced Staircase specializes in the sale of Iron Balusters, stair upgrades, and complete custom built staircases utilizing only top quality stair parts including forged steel, ornamental iron, decorative oak newel posts, and custom made handrails. We stock a large variety of decorative metal including scrolls, baskets, twists, and many other iron choices to fit any design style and budget. There is also a large variety of color choices to include Flat Black, the most popular Satin Black to custom finishes such as Oil Rubbed Copper, Antique Bronze, Oil Rubbed Bronze and others. Advanced Staircase is also proud to introduce our new line of Outdoor Deck Balusters. Your staircase creates the first impression when someone enters your home. Upgraded from the old white wooden spindles to a custom designed Iron Baluster pattern that will enhance your homes elegance with timeless beauty. Whether you are building a new home or starting a remodeling project, this affordable staircase upgrade will significantly add to the present value of your home. Whether you’re looking for a team of Panthersville, GA professionals or a handyman for a small renovation, you’ll find dozens of professional profiles and contact information for specialty contractors here on Houzz. Here are some related professionals and vendors to complement the work of specialty contractors: General Contractors, Landscape Contractors, Architects & Building Designers, Interior Designers & Decorators, Kitchen & Bath Designers. Let’s say you want to install custom wood flooring in your dining room, and you’ve found a Panthersville, GA company with excellent reviews. Next you’ll want to contact the company and make some inquiries. Find specialty contractors on Houzz. 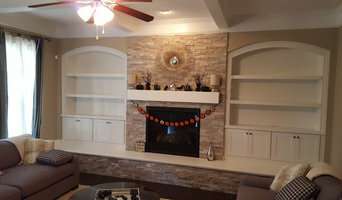 Look in the Professionals section of our website under Panthersville, GA specialty contractors, then select the nearest metro area for a contractor. You can also look through Georgia photos of completed projects to see how a contractor might approach design challenges.